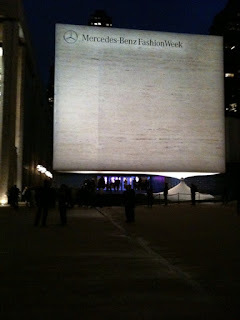 Mercedes-Benz Fashion Week Spring 2011 has come and gone, and the week actually went more smoothly then I had imagined. 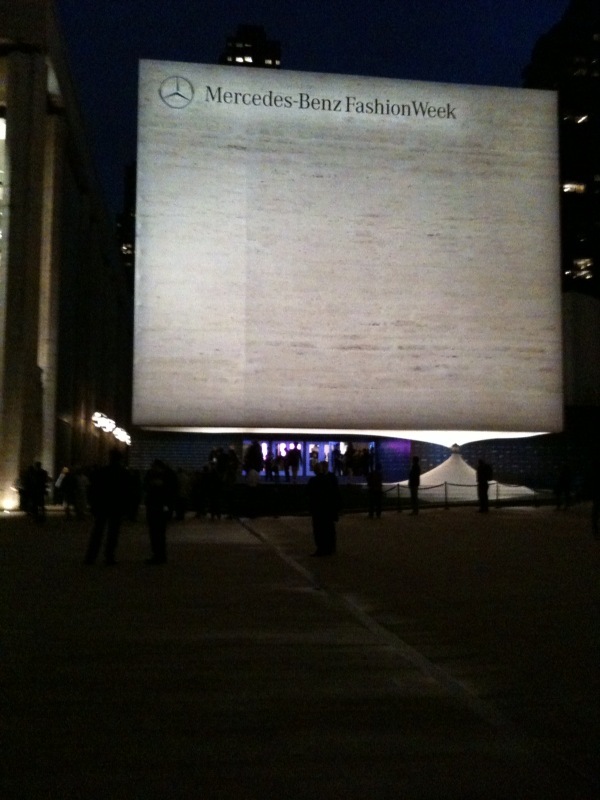 What I loved the most about the switch to Lincoln Center was the electronic check-in. It was easy as scanning your e-ticket at the airport. I no longer had to worry about waiting my turn at the check-in desk - I could just run in and get to my next show. The TRESemmé styling station and lounge my first stop after the Nicholas K Show, which was the first show debuting at Lincoln Center. I got my hair dry styled with a slight wave for some added volume. This season TRESemmé gave away their No-Frizz Créme. The Maybelline Lounge also had some daily giveaways, as attendees were able to choose from lipstick, gloss or lip stains, cream or silk eyeshadows, or mascara. The Starbucks Frappacino lounge was giving away silly bands in the shape of a heart, stiletto heel, star and Frappacino bottle. My favorite drink during Mercedes-Benz Fashion Week was the Vanilla Dream - 1 part Disaronno and 2 parts Vanilla Frappacino coffee drink - you couldn't taste the alcohol! Since I was running back and forth from the office, I didn't need to use the AOL lounge, but this was a definite convenience for many media attendees who needed to do upload images, write articles, check email or charge their phone. I didn't get to stop by the Essie booth, but they were taking appointments for manicures. I didn't get to stop over at Kim Crawford wines either, but I did see that in the morning they had been providing hand massages and of course wine in the evening. Here are some of my favorite displays. I love these purple shoes!